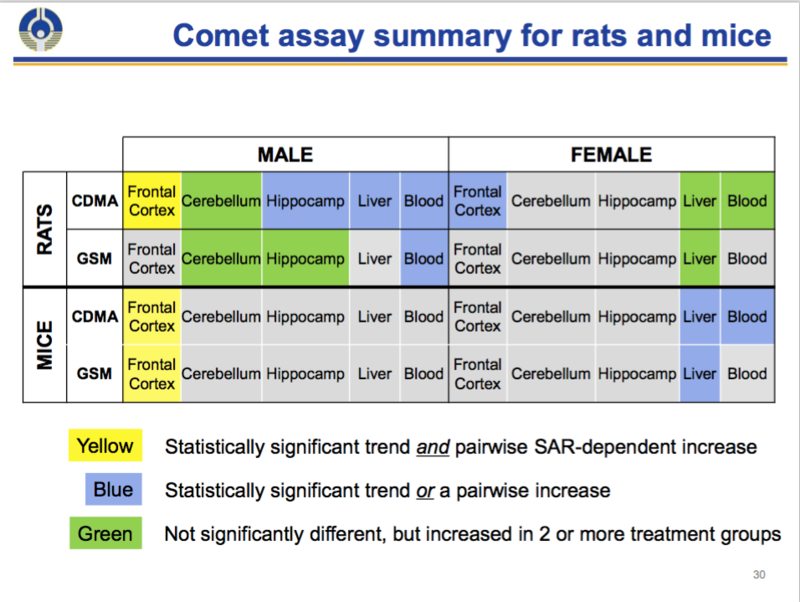 All 73 studies on Lai’s list measured DNA damage using what’s known as the comet assay.7 The assay was developed by Singh, Lai’s collaborator, close to 30 years ago.8 It can detect single- and double-strand DNA breaks, as well as other potentially genotoxic changes. The assay gets its name from the comet-like tail formed by fragments of the broken DNA. The more DNA damage, the longer and more diffuse the tail (see an example below, image by N.P. Singh, provided by Henry Lai).